Always have a fresh hospital gown ready to go with this economical 12 pack! These light, easy-care gowns are excellent for homebound patients or for those in a hospital, nursing home or hospice. The gown is easy to put on and take off and has convenient ties at the back of the neck and waist to secure it. The large sleeves allow easy movement of the arms. They also provide easy access for blood pressure monitoring or other tests. If you are caring for a family member at home, you will find this gown helpful in their care plus easy to maintain by machine washing. 12 per package. Always have a fresh hospital gown ready to go with this economical 12 pack! Comfortable large raglan sleeves allow movement of the arms and help prevent the fabric from gathering. They also make it easy to access the patient's arms for tests. Ties in back at neck and waist secure the gown. Convalescent Gowns with Back Tape Ties Always have a fresh hospital gown ready to go with this economical 12 pack! 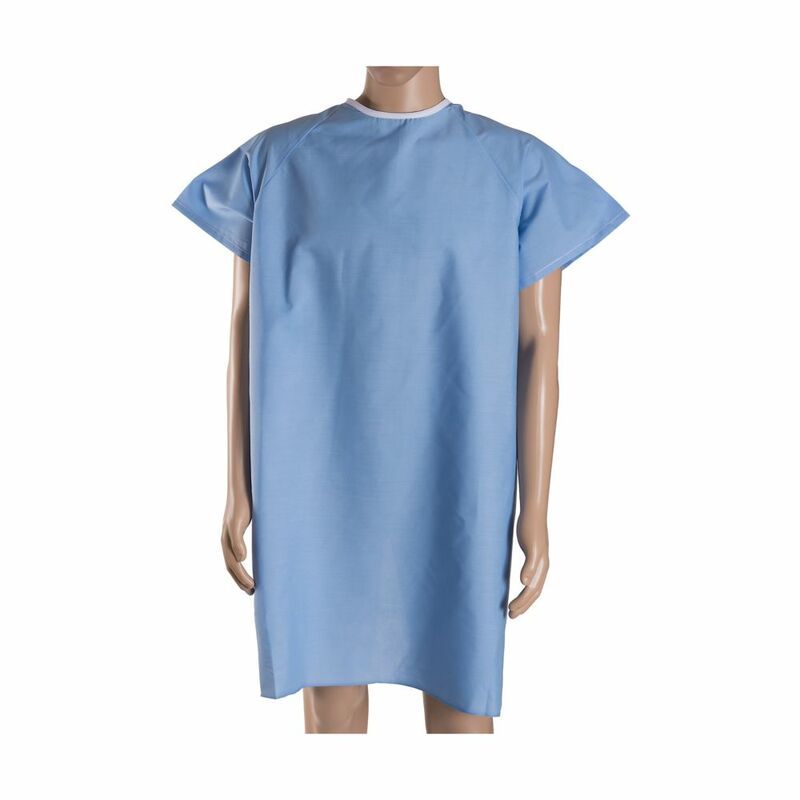 These light, easy-care gowns are excellent for homebound patients or for those in a hospital, nursing home or hospice. The gown is easy to put on and take off and has convenient ties at the back of the neck and waist to secure it. The large sleeves allow easy movement of the arms. They also provide easy access for blood pressure monitoring or other tests. If you are caring for a family member at home, you will find this gown helpful in their care plus easy to maintain by machine washing. 12 per package.